I love getting photos from you! And I’d love to feature you rocking this style on my Instagram or Facebook page. 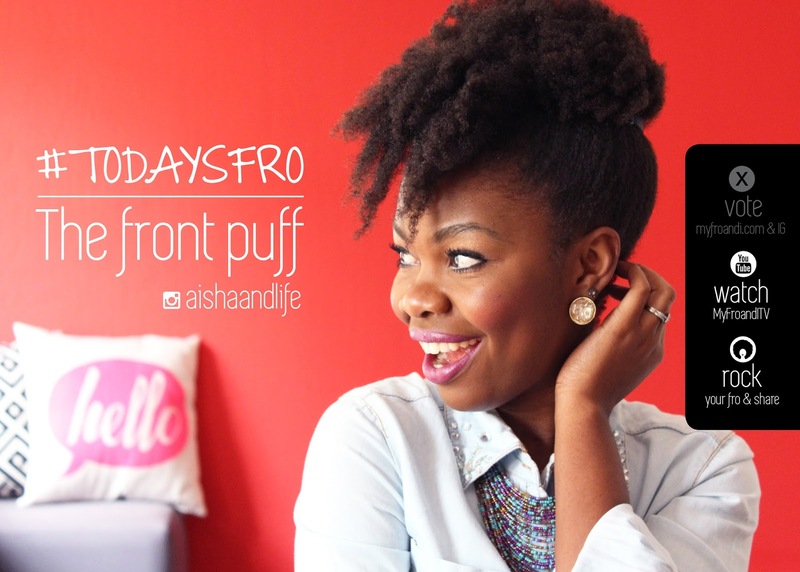 So, tag me @aishaandlife and #todaysfro in your version of the Front Puff. Please subscribe to my channel for more videos! Thanks for our comment and I'm excited for you! You need to host a comin out party lol!